The Best Dynamic Microphones - Over 30,000 Ratings! Submitted by Alexander Briones on Jul. 3, 2018. With their ability to handle high sound pressure levels and reject background noise, dynamic microphones continue to be vital in both live performances and recording. We have analyzed the most current reviews and ratings of the many dynamic mics on the market, to bring you a list of the top ones deserving of your consideration. 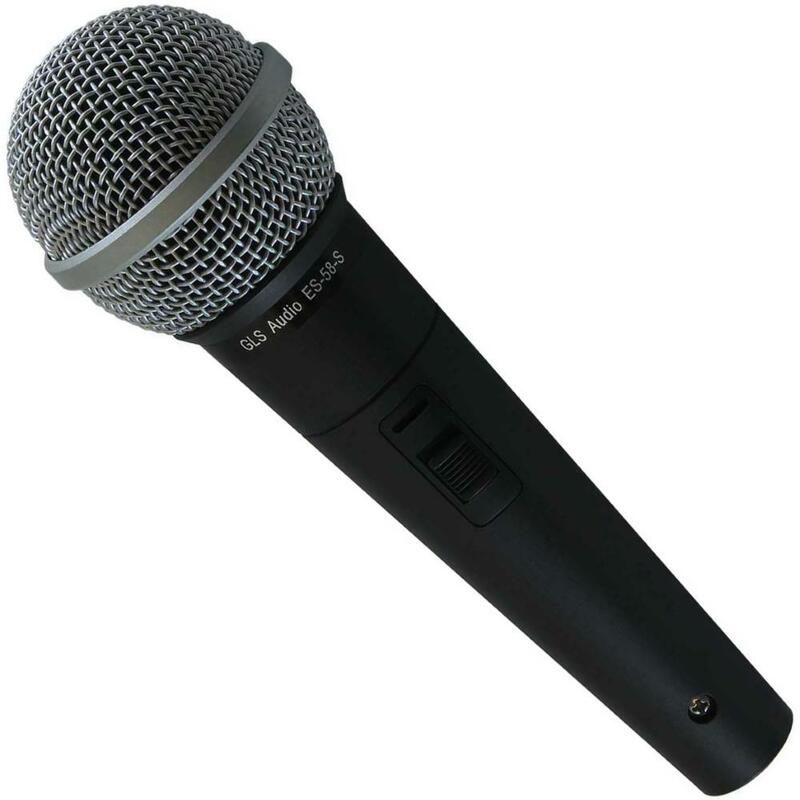 The GLS Audio ES-58-S is an affordable dynamic mic based on the design of the popular Shure SM58. As such it follows a very similar shape and overall design, albeit with an added on/off switch for this particular model. Interestingly, the distributor, GLS Audio, is willing to guarantee its quality enough to offer a refund in case you're not happy with its performance. Like the industry standard mic that it's trying to mimic, its dynamic cardioid design makes it viable for use with vocals on a loud stage, or even in a studio setting. This seemingly unassuming mic continues to surprise many users with its overall quality and solid build. Like the iconic mic that it is based on, most of the thumbs up that it is getting are from satisfied singers, but there are also many musicians who report that the mic works well with their favorite instruments, including acoustic guitars, ukuleles and more. Application wise, there are reports of the GLS Audio ES-58-S working well in and out the studio. There are also a good number of users who can attest to its long-term reliability, with reports of the mic still providing the same sound quality after rigorous use and even after having dropped the mic on the floor a number of times. It goes without saying that many love this mic for its low street price, and it is easily the main reason why it exceeds the expectations of many. With its impressively high rating, there aren't many consistent complaints about it, but there are some who report their nitpicks, like the few who needed to use EQ to get it sounding better. The GLS Audio ES-58-S' longevity, sound quality and price tag makes it an ideal microphone for those with limited budgets. 94 out of 100. Incorporating 3750+ ratings and reviews. 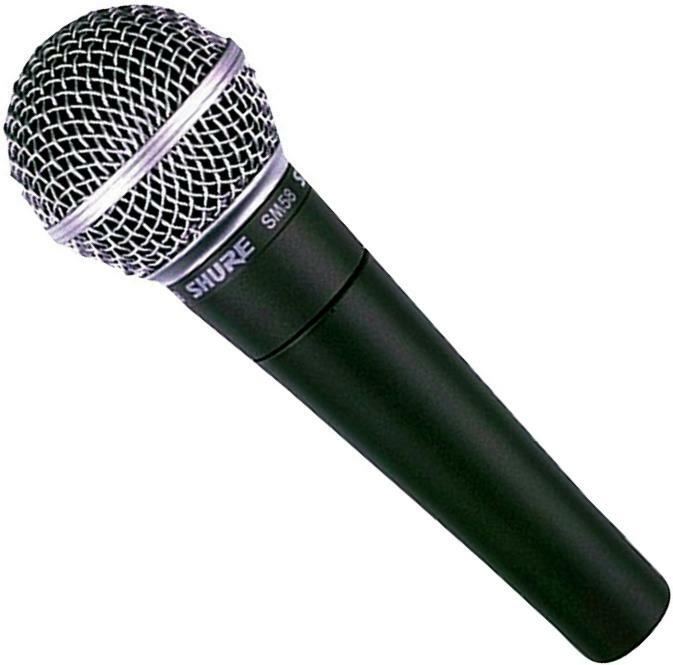 The Shure SM57 is easily one of the most popular instrument-friendly mics on the market today. Decades after it was first introduced, it is still among the most widely used mic for instruments, which include acoustic guitars, guitar amp cabinets, percussion instruments and many more. From its release in the '60s up to now, there's no escaping the SM57 in the many recordings it has been used, be it on guitar cabinets, snare drums, or on presidential speeches! It continues to be especially popular in rock music, where it is used to mic almost everything, sometimes even vocals. And this widespread use in rock is ironic in the sense that the designer of this mic was not a fan of rock music. 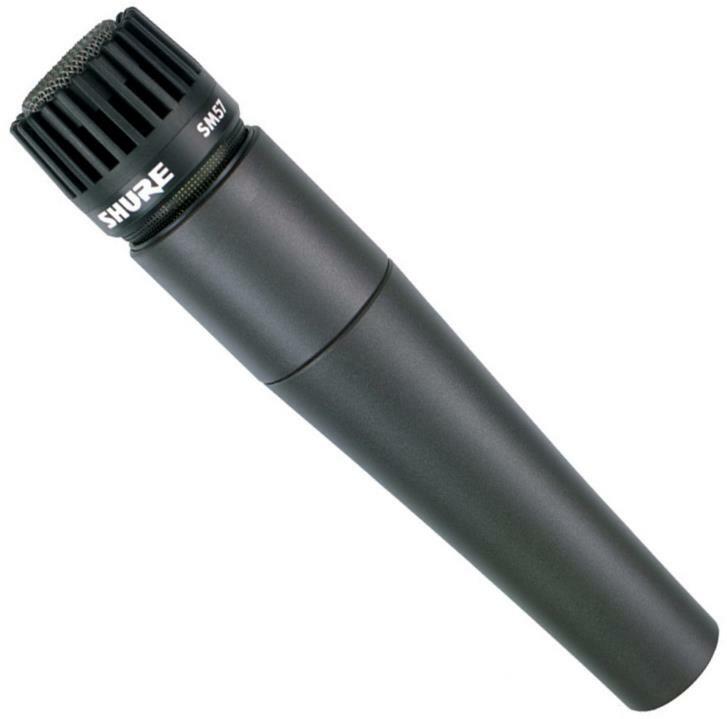 The Shure SM57 is often described as great workhorse microphone that you can truly rely on. Even the White House trusts it enough to make it a regular microphone choice for Presidential talks and speeches. It also gets a lot of commendation for its sound quality and flexibility, from professionals who make the most out of the micm to home recording musicians. It's not easy finding common issues, especially with the continued improvement of its production process. Still there are a few who do not like its sound coloration. If you're looking for no less than something worthy of the title "industry standard", then the Shure SM57 will definitely impress you. Shure SM58 continues to be the default go-to vocal mic for many, thanks to its long list of well known users including Paul McCartney, Alice Cooper, Buddy Guy, Bruce Springsteen, U2, Led Zeppelin, The Who, AC/DC, Megadeth, Run-DMC and many more. This small sample of artists already covers a wide variety of musical styles, showcasing the versatility and practicality of the SM58. Interestingly the SM58 and SM57 have the same components, the main difference being the SM58's mesh ball grille that doubles as a pop filter. Note that the SM58-LC refers to "less cable", meaning it doesn't come with a cable bundled, while the SM58-CN comes with an XLR cable bundled. "Oldie But Goodie" is a fitting phrase that encapsulates how many feel toward the Shure SM58. While there are now many mics that cater to specific styles, the Shure SM58 is still the safest pick when it comes to vocal mics. Positive comments continue to flood its reviews, from beginners who feel that they are getting more than their money's worth, to experienced users who want to nail the sound of classic tracks that they grew up listening to. There are a few who feel that the sound of the SM58 is too generic... but that is essentially what it is, the base by which other mics try to improve on. If you're not sure what vocal microphone to get, then go for the default market choice, the Shure SM58. 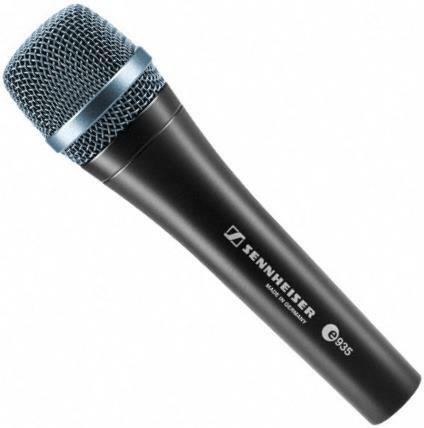 The Sennheiser e845 is a dynamic mic that's specifically tweaked for live vocal performance. It has a supercardioid polar pattern that allows it to focus on the main sound source more, while rejecting stage noise. In addition, the frequency response of the mic is tweaked to better work with vocals. Sennheiser also equipped its capsule with a special internal shockmount, which reduces handling noise as singers move around. Market response to the Sennheiser e845 is overwhelmingly positive, with users appreciating its solid overall performance and build quality. Many appreciate how natural the resulting sound is, while others are happy with its feedback free and overall quiet operation. Off-axis noise rejection is also well received, along with its reduced proximity effect which results in less low end when using the mic up close. Value for money also comes up quite often among those who rate this mic highly. Not many complaints to write about, other than a few who rated the e845 a tad bit lower due to preferences, like the lack of low end due to its reduced proximity effect. 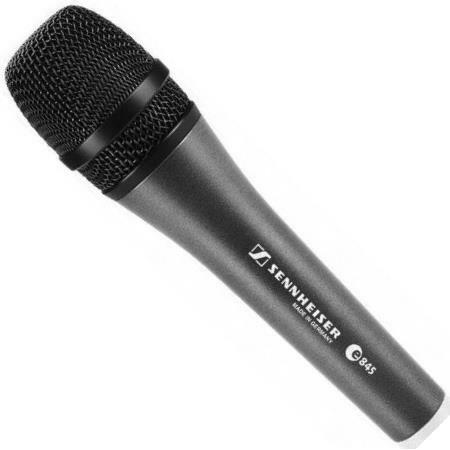 With its stage friendly design and really high ratings, the Sennheiser e845 should be the first mic to consider if you're looking for a vocal microphone. The Beta 58A is a handheld dynamic microphone specifically tailored by Shure for vocals, based on the iconic SM58. It sacrifices some of the versatility of the popular Shure mic to focus on capturing vocals better. To achieve this, Shure added more emphasis on the higher frequencies at 4kHz and 9kHz, resulting in a clearer sound that befits singers. Proximity effect is also reduced via bass roll off, so there's no sudden increase in the lower frequencies as you get closer to the mic. Finally, the Beta 58A has a narrower Super Cardioid polar pattern for better noise rejection, and it comes with an internal shock mount for preventing handling noise. As expected from a Shure branded mic, the Beta 58A gets a lot of thumbs up for its solid build. But more than that, most of the positive reviews point to its good sound quality as its best trait. Even experienced users describe this mic as the best that they've ever used, so much so that some even prefer using the Beta 58A in the studio over condenser microphones. Many describe this mic as brighter sounding, when compared to the SM58. Speaking of bright, some users are not too fond of the mic's brighter tonality, and prefer cheaper mics with the added bass due to proximity effect. This is more of a preference issue than an actual problem with the mic. One sad downside of Shure's popularity is the growing number of counterfeit products, as such it is best to get your Beta 58A from an authorized retailer. If you're looking for a quality vocal mic that will last you a lifetime, then go get the Shure Beta 58A. 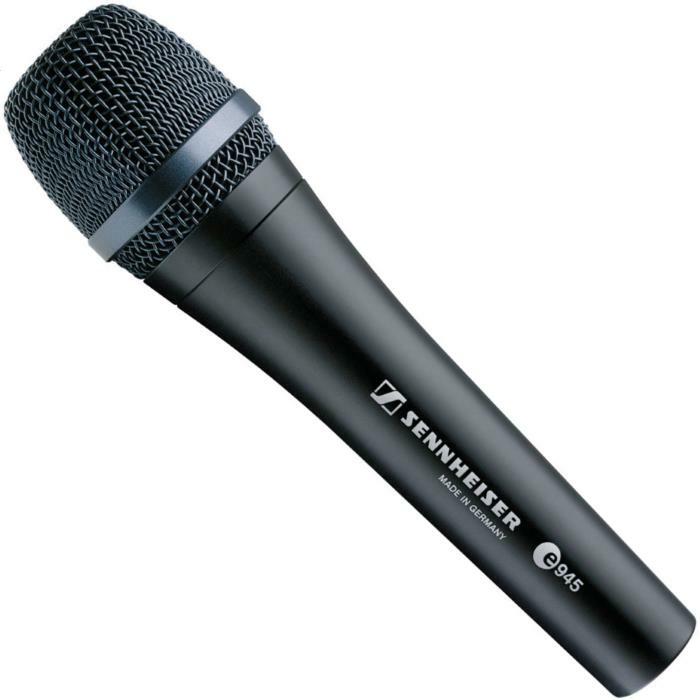 Sennheiser continues to be a strong contender in the microphone market, thanks to the ever improving quality of their products. The e935 is part of their flagship 900 series Evolution mics, described by the company as a professional stage mic that's better tuned for vocal clarity, with improved transients. The e935 is equipped with a premium internal shock-mounted capsule that is ready for the noise of bigger stages. Its cardioid polar pattern gives singers standard proximity and positioning, to reduce the need for technique adjustments when switching from a different mic. Applications:Designed for Live Vocals, Can be used for Recording, Acoustic Guitars, and Guitar Amps. Amazing is a good one-word adjective that summarizes market sentiment for the Sennheiser e935. Those who have switched from other brands report big improvements in sound clarity, with many specifically mentioning the reduction of unwanted low-end, which in turn allows you to better hear nuances and articulation in the upper middle frequencies. Many are also happy with its reliability, having used it extensively on the road. Interestingly, vocal clarity is not always a good thing, especially if you are a rock, blues or folk singer who needs the extra low end. But aside from these preference issues, the Sennhesier e935 continues to do well in the market. If you're looking for a stage ready mic with emphasis on voice clarity, then do check this one out. While there's no replacing a real pop-filter in the studio, there are stage mics that come with a pop-filter built inside them. This obviously ups the price, but helps improve overall quality by reducing vocal plosives. 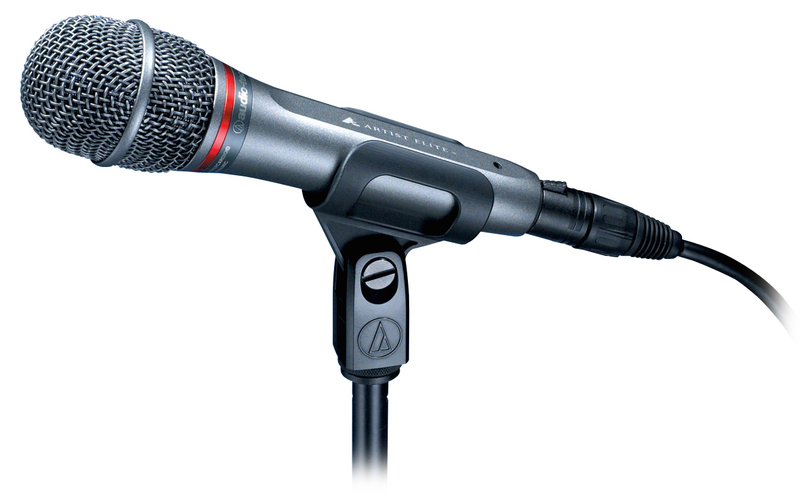 Of the mics that offer this feature, the Audio-Technica AE6100 is among the best rated, with its stage ready features. Its built-in open-cell foam pop-filter complements the AE6100's hypercardioid polar pattern and anti-shock engineering that results in improved overall clarity, quiet operation, and feedback resistance. Sound quality continues to be the stand out feature of the Audio-Technica AE6100. A common theme in reviews is that it provides studio quality sound for stage use, but what's impressive is how most reviews are from experienced engineers and musicians. Many users also agree that it helped reduce feedback issues. Some reviewers even go so far as bad mouth other popular brands - stating that the difference in quality is very much noticeable. There are a few who feel that the mic looks bland compared to others, but this is more of an aesthetic preference. Others simply prefer the sound of a different mic. With its built-in pop-up filter and stage ready features, the Audio-Technica AE6100 is well worth your consideration. The e945 is Sennheiser's flagship handheld dynamic microphone, which means that it gives you the best of what the company has to offer. At its core is a premium dynamic mic capsule with super cardioid polar pattern, fine tuned to capture vocal nuances even in a busy and loud stage. This capsule is shock mounted inside the mic to prevent handling and impact noises. All of these are further complemented by hum-compensating coils which prevent electrical interference. Sennheiser mentions that this mic features Neodymium ferrous magnet with boron, which is not easily affected by environmental changes. Users, including experienced ones, are definitely impressed, using words like wow, incredible and great to describe the mic. But what struck the most is how many simply "love" the mic for what the improvements that it brought to their sound, be it in terms of sound quality or in terms of noise and feedback suppression. There are also reports of long-time users who attest to the Sennheiser e945's reliability. Of the few negative comments, most of them point to singing style preference. What's interesting is how some perceive this mic to be to thin sounding, while others feel that it adds a bit more low end than they wanted. Being the flagship of Sennheiser's best selling dynamic microphone line, the e945 gets an easy recommendation. Polar patterns describe the way a mic rejects or listens in to sound. The Cardioid polar pattern is the most popular for dynamic mics because it blocks sound that come from the back and sides (monitors, stage noise, instruments etc), while accepting the ones directly in front of the capsule. Other variations of the Cardioid polar pattern include the super cardioid and hyper cardioid, both of which have a more front focused pattern, for even more noise rejection, the downside of which is restricted positioning. Think of frequency response as a default non-adjustable EQ that's built into a microphone. Ideally, we want it to as transparent and flat as it gets, but this is never the case, given the various hardware components that mics have. Engineers and musicians take advantage of these frequency response variances by pairing mics with the right vocal timber or instrument tone. For example, you don't want to pair a high pitched voice with a mic that emphasizes the highs, rather, you want a mic with a bit more low end to complement the sound source. If you are unsure, the best course of action is to look at the mics used by your favorite singers and instrumentalists and start from there. 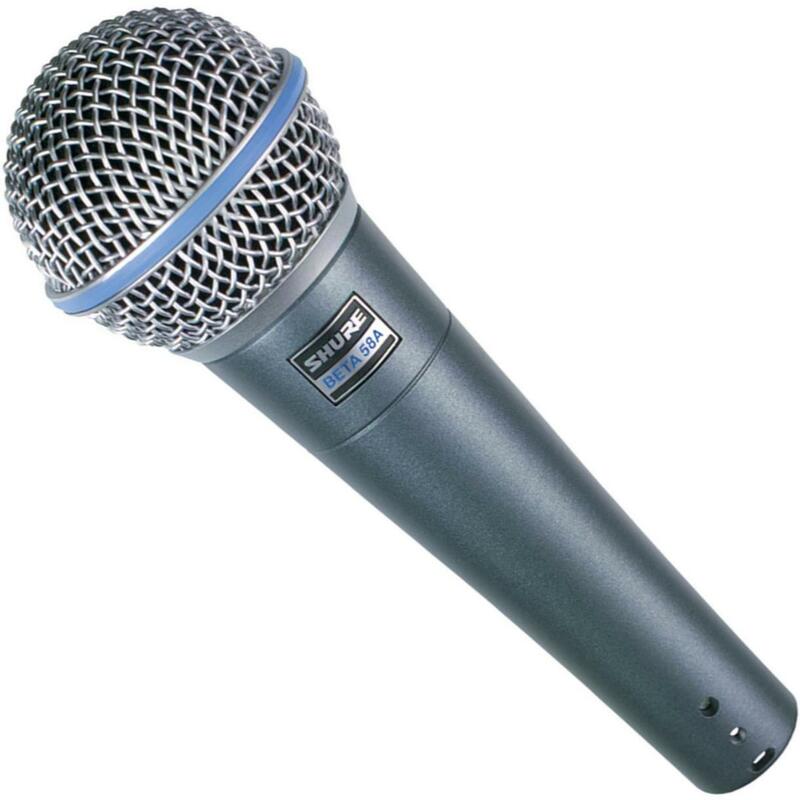 Most dynamic mics come in the familiar handheld form factor and are meant for singers and the speaking voice. But since dynamic mics have capsules that can handle high SPL (sound pressure level), they can be used to mic virtually any sound source, with the right positioning. Dynamic mics are popularly used on loud instruments like guitar speaker cabinets, drums and other percussion instruments. Still, there are more specialized mics that can do better, but it is nice to know that dynamic mics are flexible when needed, albeit with some compromise on sound quality. The proximity effect describes the increase in low frequencies when you get close to a microphone. Ideally, we don't want any increase in frequencies, but there are some who have put the proximity effect to good use, more notably rock singers and rappers who are looking to add more low-end oomph to their voice. These days, some mics are built with less of it, while others are well loved for its proximity effect. This has prompted some manufacturers to clearly supply tone variation when close to the mic, so the users will have an idea what to expect. This specification points to the maximum volume in dB (Decibels) that a microphone can handle without introducing distortion. And since volume varies per frequency (example: louder at lower frequencies or vice versa), this specification usually has an @ frequency label, so it can get complicated. Thankfully, you don't have to worry much about this because dynamic microphones don't have built-in electronics to overload, they are limited by the mechanical movement of the diagram. This allows them to handle anywhere from 150dB to 180dB, which are extreme levels you will not encounter in normal conditions. If you do encounter distortion, the problem could be that the mic is clipping the preamp which you are plugged into, and the solution is simple, up the levels of the preamp, or get a better mic preamp, or move further a way to lower the volume levels. Most professional handheld microphones don't have an On/Off switch to prevent accidental turn offs. Still there are some who prefer to have this extra control, which can be useful for smaller events where you have to leave the mic often. Submitted by Tracy (not verified) on Mar. 5, 2019. Submitted by Raphael Pulgar on Mar. 5, 2019. My pick would be the Shure Beta 58A for its tight pickup pattern and clarity in the 5khz range. I do however suggest practicing proper mic technique since singing too far away from any microphone will introduce problems with mixing as the engineer will have to increase the input gain to get a stronger signal. Higher input gain will also make the microphone more sensitive to ambient sounds and eventually, feedback. Take advantage of the proximity effect (bass increase when singing closer to the mic) to thicken a voice from a singer with less than optimal projection. "Eating" the mic is also a sign of bad technique and I'm glad your singer doesn't do that but they shouldn't be afraid of getting up close. The Beta 58A doesn't get boomy from using the mic closer to the mouth so they can be confident with their tonality through the FOH. Submitted by Linda (not verified) on Mar. 24, 2019. I need a microphone to use to give a speech and then pass on to others who might want to say something. I would like one with a 5 start rating, but not too expensive. The room might have 75 people in it and instead of talking loudly, I would like to use a microphone. It is for a Salute to Reuben, my husband who recently died. This is for a get together of friends, relatives, etc. After eating, is when the speaking will take place. It might only last a few minutes if no one wants to speak. Can you help me? Submitted by Jason Horton on Mar. 25, 2019. There aren't any good microphones with a perfect 5 star rating, however the GLS Audio ES-58-S will to the job nicely. If you a hiring a PA System (sound mixer & speakers) or if the venue is providing one, suitable microphones are usually included so you might not need to buy one.